Putting your house on sale? Don’t get too excited to put that “For Sale” sign just yet. Make sure you accomplish the tasks below before putting your property in the market to ensure that the entire process turns out to be smooth and successful. Are you moving out before viewing begins or are you staying put until the property gets sold? If you are moving out before putting your house in the market, you or your real estate agent can schedule viewings any time which consequently, increase your chances of getting more potential buyers. Meanwhile, if you are staying until the house gets sold, you can use your own furniture for staging, allowing you to save on rent. Basically, each option has its pros and cons. What matters is that you come up with a decision early on for you to plan ahead and address the possible implications of your decision. Currently, the presence of several property portals has encouraged owners to sell their houses on their own. You can choose this option, too. You should know, however, that successfully selling a house isn’t just all about advertising. It also requires time and effort. Furthermore, industry know-how is essential if you want to get a good deal. So, unless you have the time and experience necessary to achieve an excellent outcome, it’s best to get the services of a professional estate agent. With the help of an experienced real estate agent in Ireland, getting a good deal and selling your house in a short span of time would not be a problem. Hire a professional surveyor to determine your property’s total area as well as its boundaries. Then, enlist the help of an estate agent to determine the value of your property. You may be tempted to scrimp when it comes to these tasks and ask someone you know to accomplish them instead of professionals. Don’t commit this mistake! Keep in mind, giving inaccurate figures to your potential buyers can make selling your house difficult. Accomplish this task early on if you want the sale of your house to proceed without bumps and to conclude quickly. Many homeowners delay doing this task until they find a buyer for their property. This is perfectly okay if you are certain that there won’t be problems with your documents. Otherwise, you may potentially lose a good deal since any issue with pertinent documents like the title deeds may result in the delay of the issuance of the Contracts of Sale. Aside from the title deeds, other essential documents you need to prepare are the planning permission and tax certificates. You also need to secure a Buildings Energy Rating (BER) Certificate. Don’t panic if you don’t know how to get these documents. Your solicitor can provide you with the information you need. Assess the condition of your house. Address cosmetic problems like cracks, peeling paint, etc. Repair damaged parts which can affect your house’s potential to get sold. When it comes to its interior design, a full blown renovation is not necessary. Just make sure that you thoroughly clean the house. Get rid of clutters, especially if you haven’t vacated the house yet. Make sure that the house is well-lit and free from unpleasant odours, too. Lastly, don’t forget your home’s exterior. Repaint exterior walls, trim grasses and clean gutters to achieve that must-have curb appeal. Since most buyers heavily rely on pictures when deciding which properties to view, have beautiful photographs of your house. If possible, let a professional photographer take the pictures to ensure that you get excellent images. In addition to quality, the quantity of photographs on the listing also matters. According to research, home buyers are more likely to visit a property if it has at least six photos. As mentioned earlier, there are property portals where you could advertise your house for free. However, while this method is currently popular, it’s not enough if you want to attract more buyers. You need to tap other media like social networking sites. 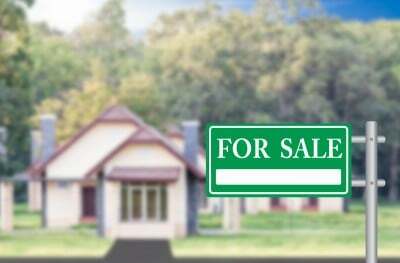 Once you accomplish all the aforementioned tasks, you can already put up the ‘For Sale’ sign on your lawn and prepare to meet potential buyers! Selling your house in Ireland? Talk to our experienced estate agents and learn more about what you need to do before putting your house on sale. Call us at 014959020 today!